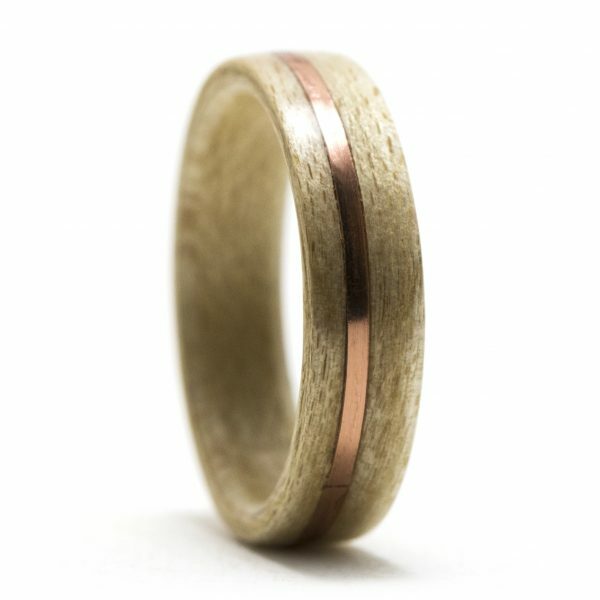 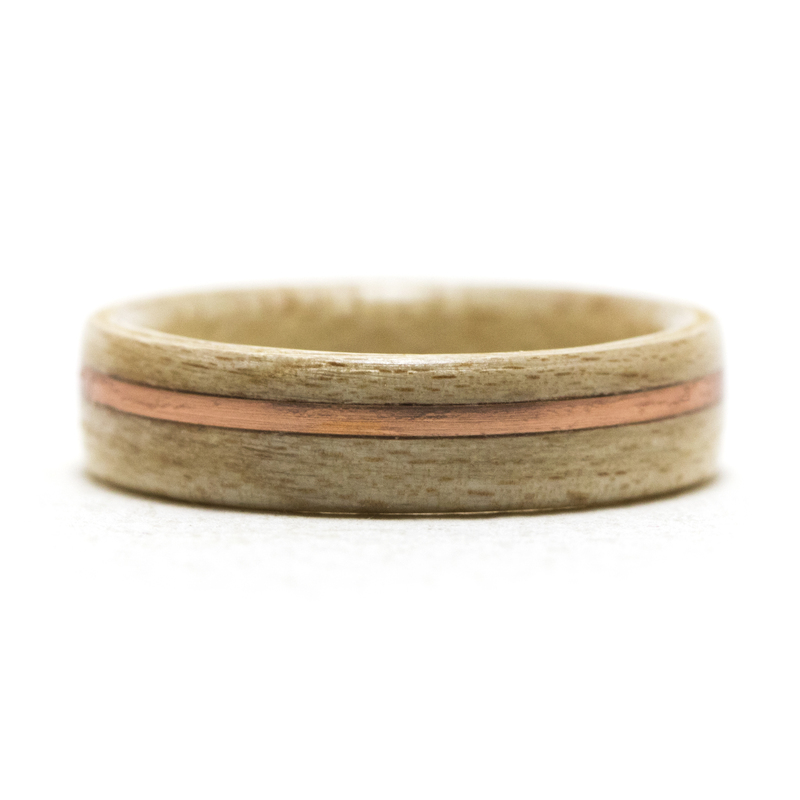 This maple wood ring is inlaid with an offset copper wire. 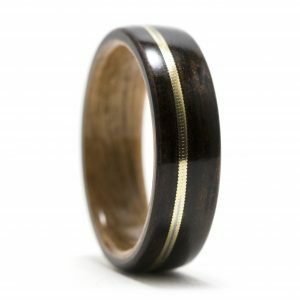 A protective finish is applied for extra durability and strength. 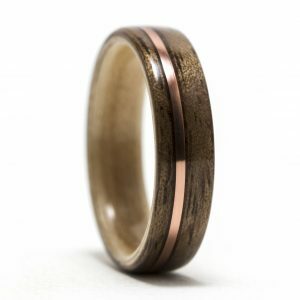 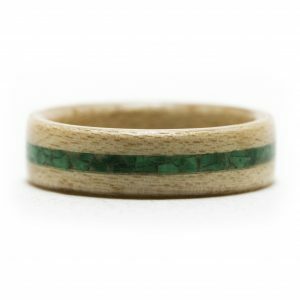 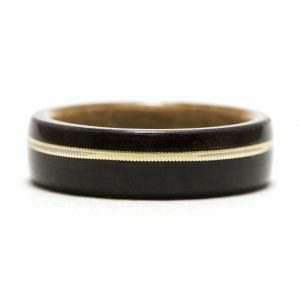 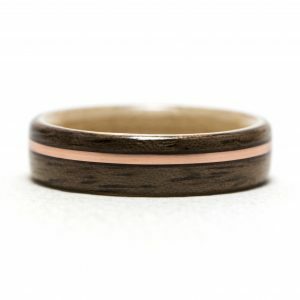 This maple bentwood ring inlaid with copper is made to order using your specific ring size and width.